Kale is not my favorite. I’m not gonna lie. However, bacon is my favorite. Bacon makes just about anything taste better. Dare I say it even made the kale taste good. Dang good, actually! Have you tried making kale in your instant pot? It’s easy and rather quick. If you care to season it up with bacon, you can do that in your pot too! 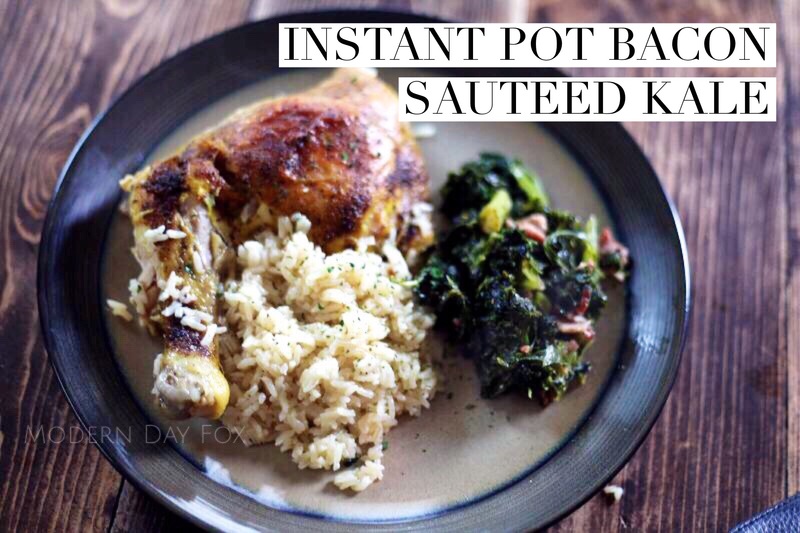 I served this kale with one of my very favorite Instant Pot chicken and rice recipes that I’ve found online. The Budget Bytes blog featured this recipe and it was winner with all three of the men in my household! Even my 3 year old ate it, and lately that has been a challenge. (That’s a subject for another blog, maybe Scary Mommy!) 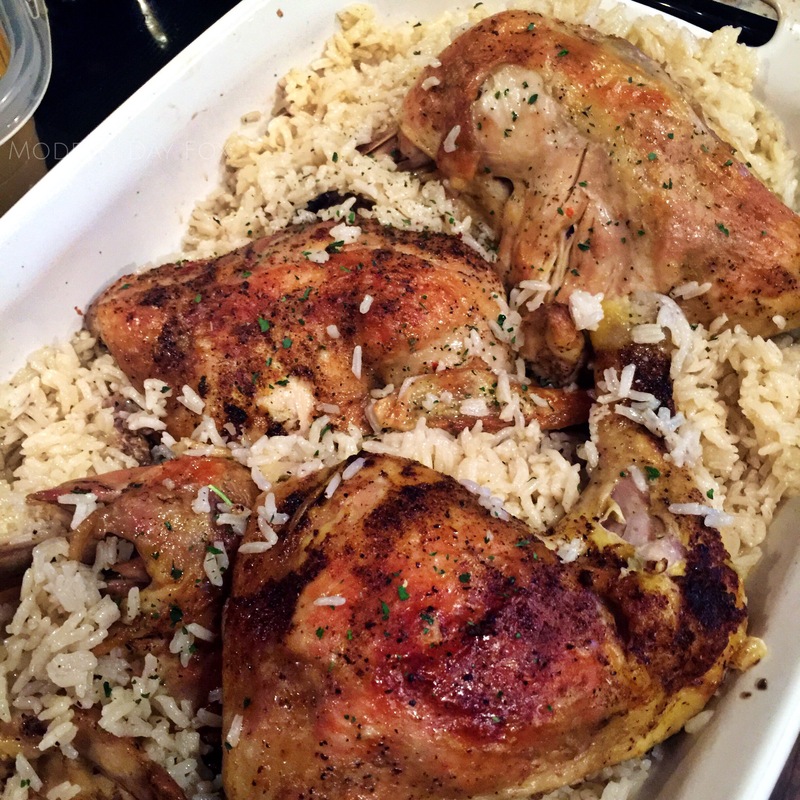 The best part was that I was able to use the chicken quarters from our Kroger store that are always on sale for .99/lb. 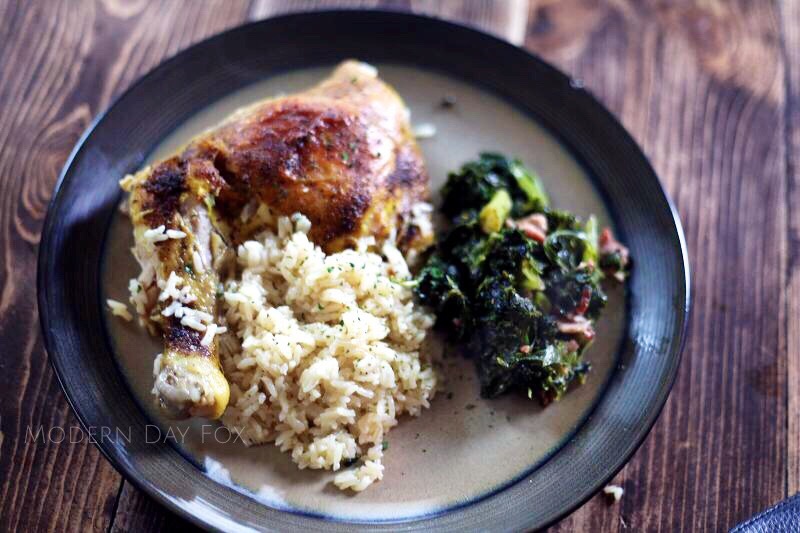 The whole meal cost me less than $8, start to finish and I fed 4 people plus had leftovers for lunch! 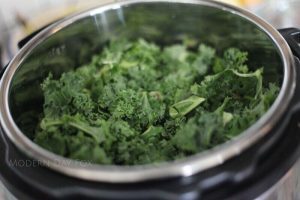 I’m not reinventing the wheel with this kale recipe. I’m sure you can find similar ones across the web. This is the way I do it, and there is room for interpretation. Add onions, garlic, and additional seasonings if that’s your thing. 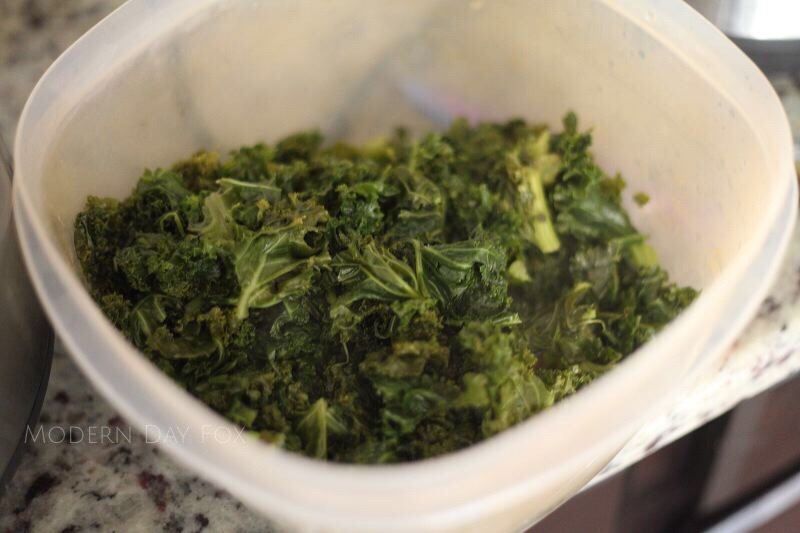 Rinse your kale if it is not already pre-washed. 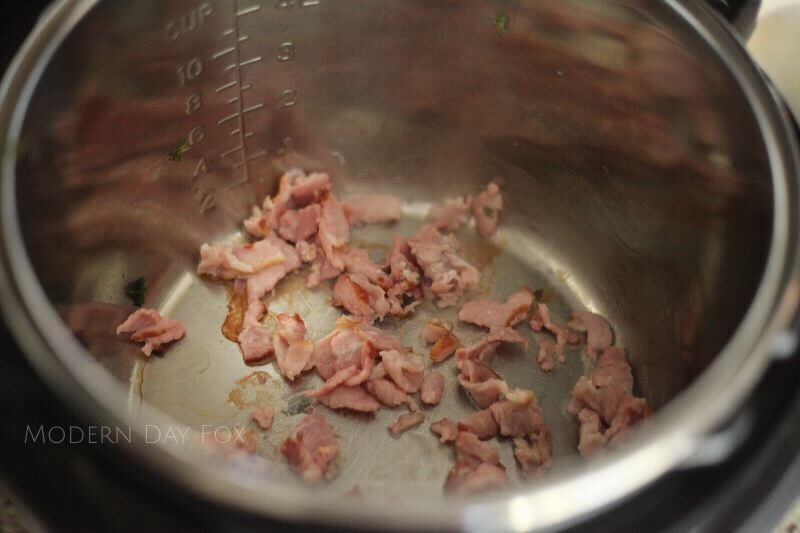 Put into your Instant Pot stainless steel pot. It should fill your pot about 3/4 of the way. Please do not fill past that point. Add one cup water. 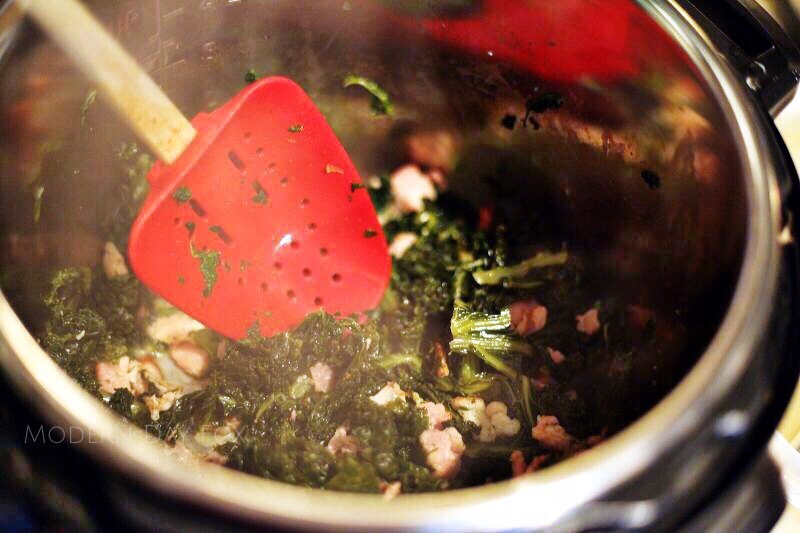 Set your pot on Steam for 12 minutes. Allow a natural release. Drain water from kale. Place in a bowl and set it to the side. Put the stainless steel pot back in your Instant Pot. Set pot to Saute setting on your Instant Pot and heat the cooking oil of your choice. Chop uncooked bacon and add to the heated pot. Cook thoroughly. You may also opt to add diced onion and chopped garlic at this point. I like to keep it simple, so I didn’t do that this time. 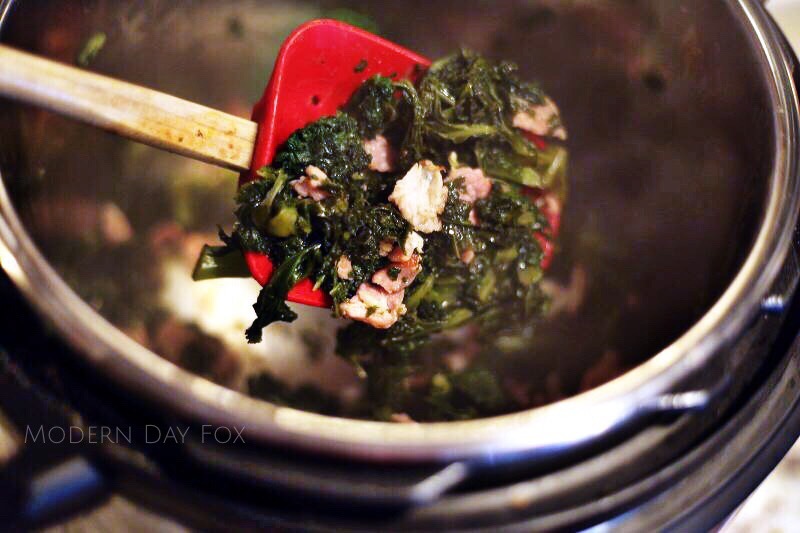 When the bacon is completely cooked, add your kale back in. Season well with salt and pepper, to your taste. Saute for 5-7 minutes. Serve hot! This post contains Amazon affiliate links that help support my blog. If you use these links to make purchases, you help me keep this blog alive! Yay! Happy Sunday, all! This weekend I am full of mixed emotions – happy and sad at the same time. Why is so hard to let go of “stuff?” The husband and I are on a mission to plow through a list of things we want to do to our house. On that list, I begrudgingly agreed to sell my bedroom suite that we have been keeping in our guest room. We decided to sell it for $500 which was ridiculously cheap for such high quality furniture, but we needed it gone fast to get started on projects in that space. I put a post on Facebook and it was sold in less than two hours, and picked up and gone in less than 24 hours. I got that furniture when I moved back to Nashville after a rough patch in my life in ’05. It went with me from my downtown Nashville apartment to crashing in a basement belonging to my late friend, Gary. From there, it went to a house that my best friend, Ted, let me pick out for him sight unseen in the Germantown district of Nashville (he was living in Africa). After three years there, it went to my future husband’s house. Finally, it ended up in the house I now call home with FotoJo and our two boys. Throughout a lot of changes in my life, that bedroom set was the one thing I “owned.” I knew I had a bed wherever I would land. It was kind of like the “everything’s gonna be alright” furniture. High quality and familiar no matter where it was. After settling in our new home, it was replaced by a bigger and better set and and sat pretty much unused for that three years except for the occasional house guest. We now have big plans for that guest room – a Murphy bed so we can utilize the room more efficiently and a place for a massage chair that we have always wanted to buy. In order to make room for change, I had to say goodbye to something I loved. Isn’t it that way with so many things in life? It’s hard to explain to other people why you hold so tightly to material things, but it shouldn’t make you feel bad to have those feelings. Only you understand why your “stuff” means so much. At the same time, you have to allow yourself to grow and change, and that means sometimes letting go and moving on. The lady that bought the furniture just bought a house in Nashville and I know she will take good care of the set. I hope it becomes her “everything’s gonna be alright” furniture too. Geez, who knew I could get so deep about furniture? 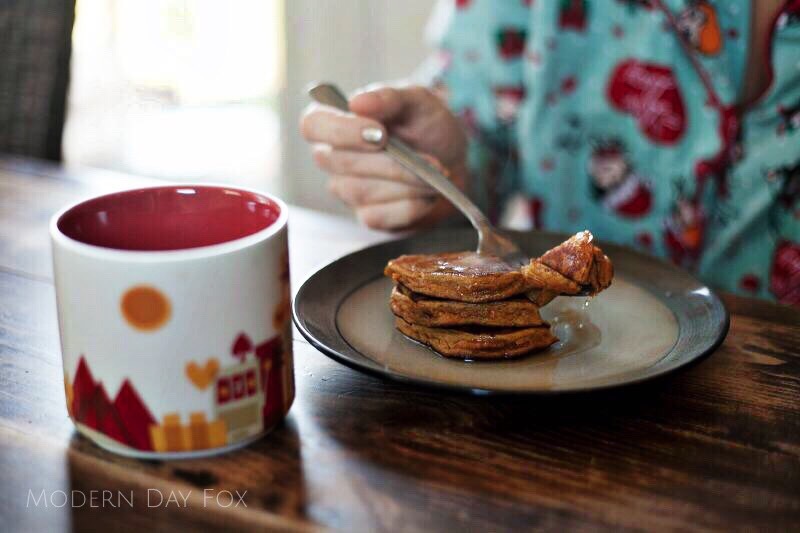 How about we lighten this post up with some yummy pancakes? I’ve been experimenting with these ‘cakes for quite a while and I think I’m pretty close with this recipe. Before you make these, however, I need to give you fair warning. If you are expecting these to be the same texture as your Cracker Barrel pancakes, don’t even bother. They are more egg-y than fluffy, but they are tasty and very moist. Best of all, they soak up your maple syrup in the most perfect way. I have even eaten them topped with some savory meats like Beef Barbacoa to add a unique twist to dinner. Important note: Because these are heavy in the egg department, you absolutely must cook these at a medium temperature or they will burn. 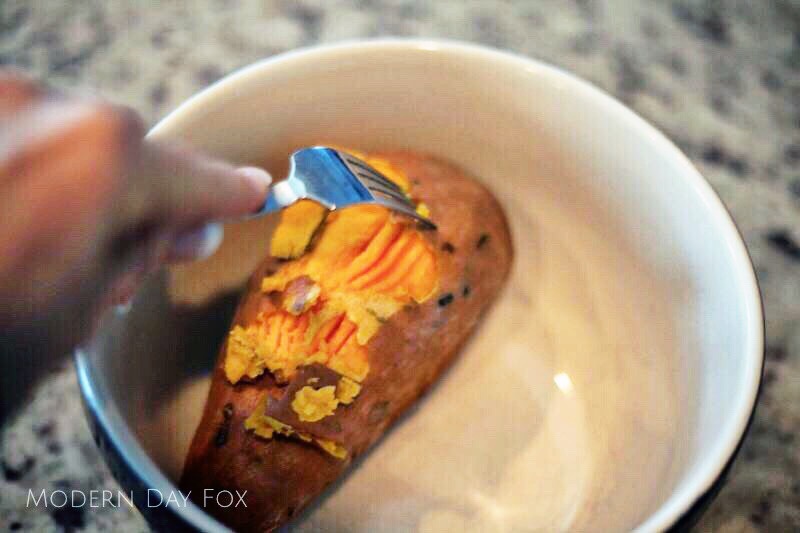 First, cook your sweet potato until soft and peel skin. I used my Instant Pot and put my potato in my steamer basket. I added one cup of water to the stainless steel liner pot, and set the pot to 25 min HP with QR. The peel slid off easily. Mash the potato until smooth and let cool. When cooled, mix in eggs and vanilla extract in a medium size bowl. In a separate small bowl, mix the remainder of the ingredients. 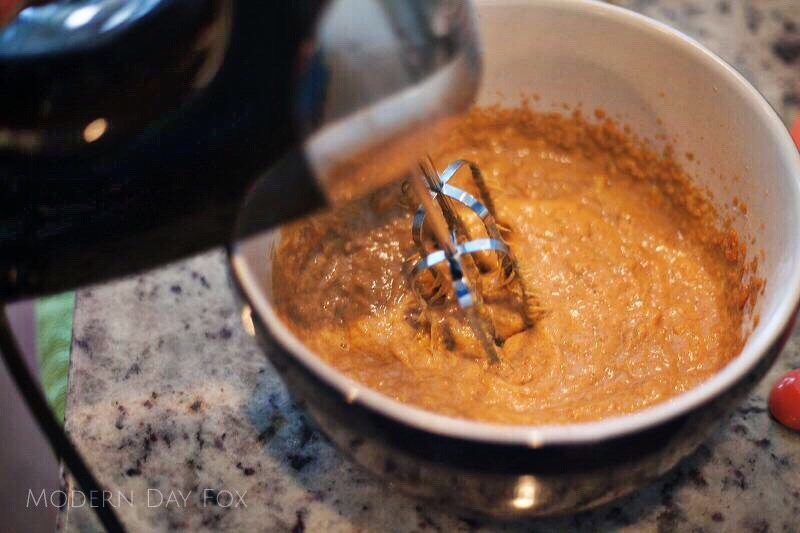 Then, stir the dry ingredients into the wet ingredients until thoroughly blended. Preheat a lightly greased griddle or frying pan over medium heat. 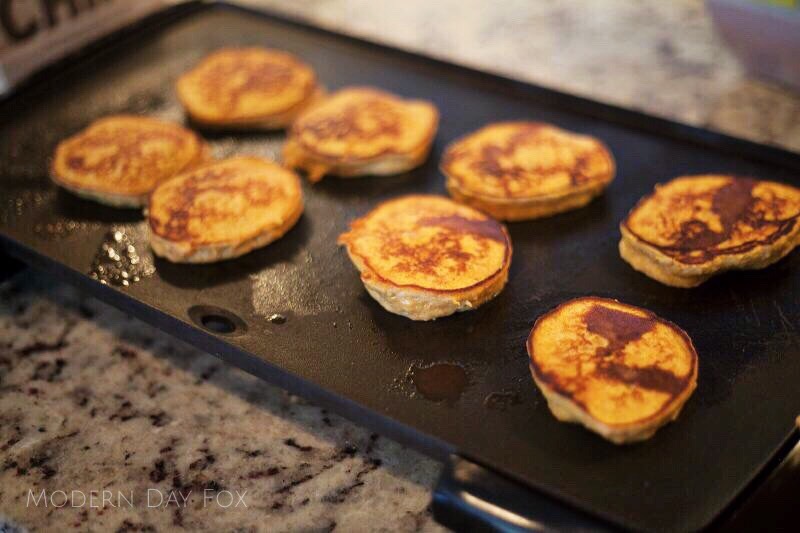 Drop batter mixture onto the prepared griddle forming 3.5″ pancakes, and cook until golden brown (approximately 2 minutes per side), turning once with a spatula. It is important to cook over medium heat so that pancakes do not burn. Recipe yields about 10 3.5″ pancakes. 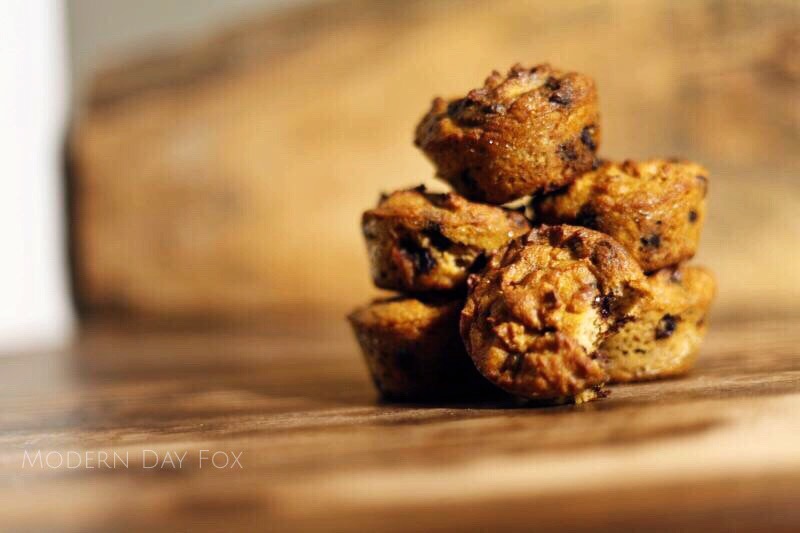 If you like some crunch in your cakes, add pecans in the batter or on top! 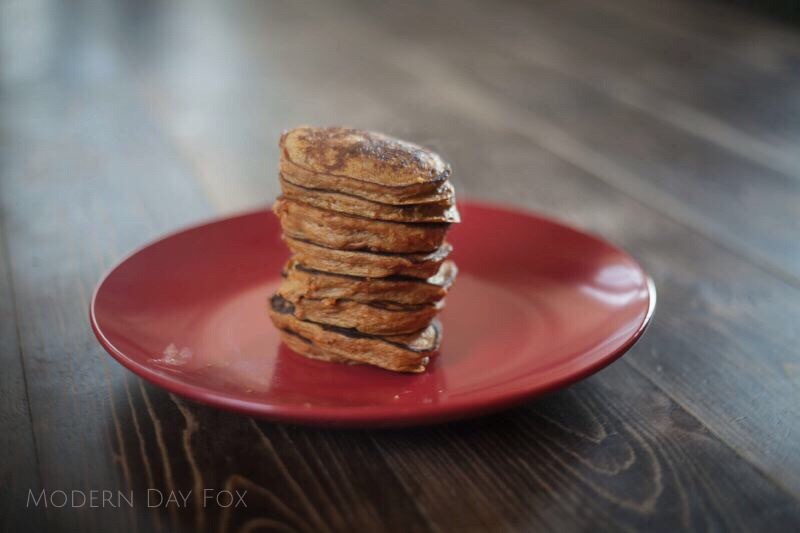 I love to top these with Enjoy Life dairy-free chocolate chips for a breakfast dessert! This has nothing to do with stir fry, but don’t you agree that Trolls is the cutest movie ever? I’ve watched it at least 20 times with my boys and I’m still not sick of it. I love the cloud character that makes a cameo! “Little slappy, make Daddy happy?” Laughter across the household ensues every time we see that part. That movie just makes me feel good, and we have the best dance parties every time we watch it. This post isn’t about the Trolls. 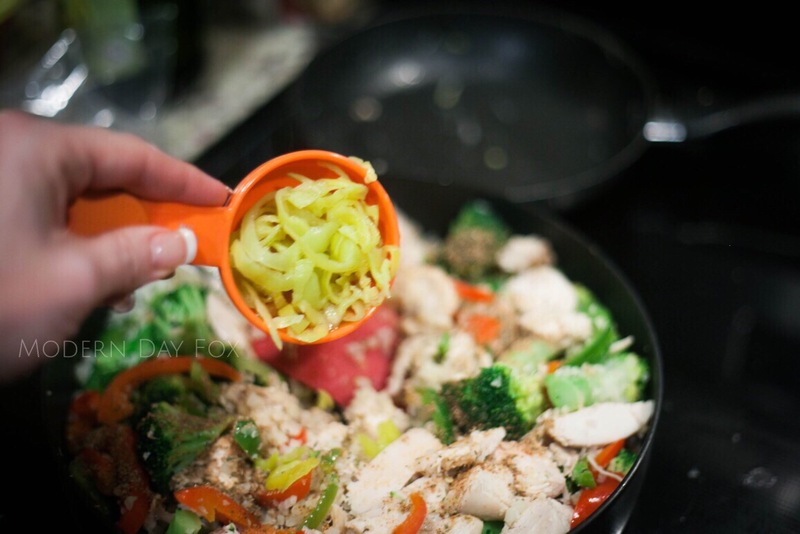 This post is about stir-fry. Not the kind with loads of rice though! In fact, there are no grains in this recipe at all. 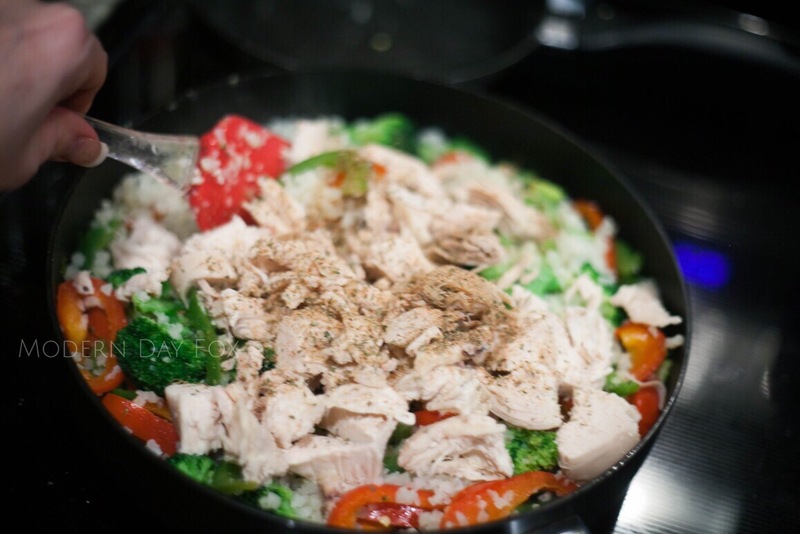 Just tasty vegetables and chicken, and one unexpected ingredient that takes the flavor over the top! This is a perfect meal to prep on Sunday and portion out between four containers for lunches all week long! 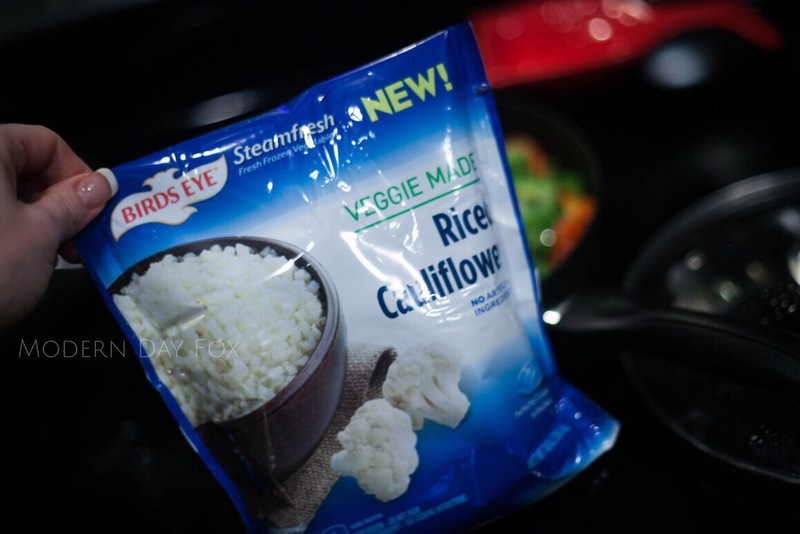 If you are using the frozen steam bags of cauliflower, follow the directions to steam in the microwave. Open the bag and drain the water. 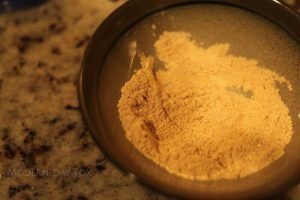 If you are using raw cauliflower, here is a great link from the Minimalist Baker with concise instructions. Prepare and set to the side. 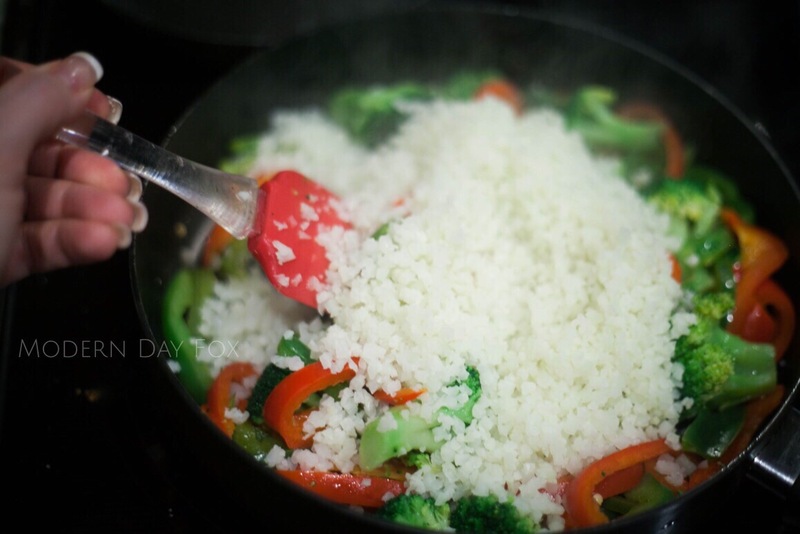 NOTE: It’s important to try to get all the water out of the cooked cauliflower rice before adding to your stir-fry. 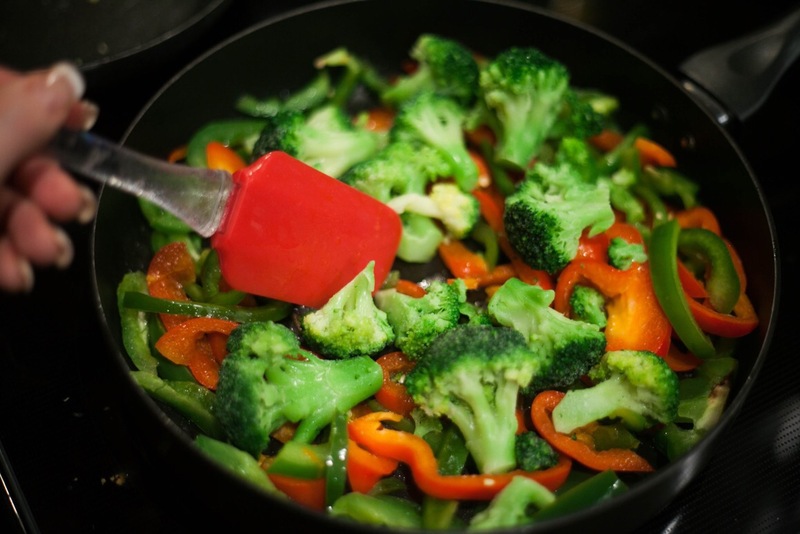 Heat oil in a large frying pan or wok. 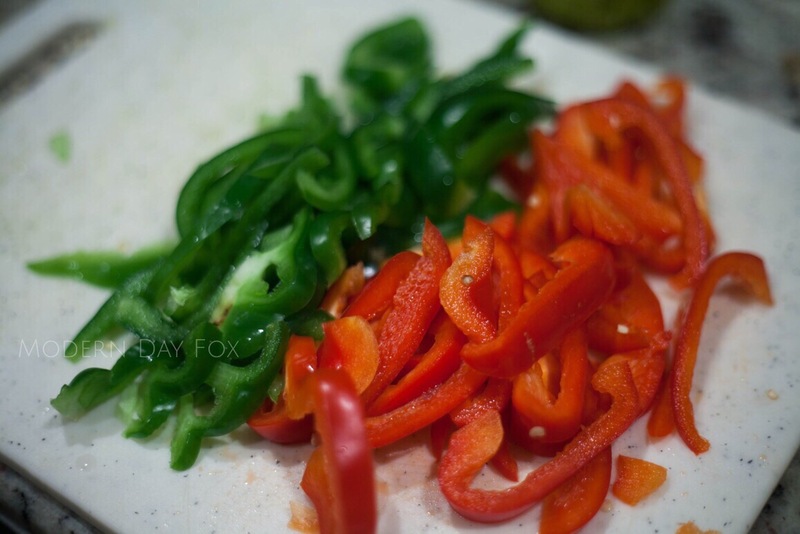 Add julienned peppers and carrots to hot oil and saute until softened. Add water chestnuts and saute until warmed. 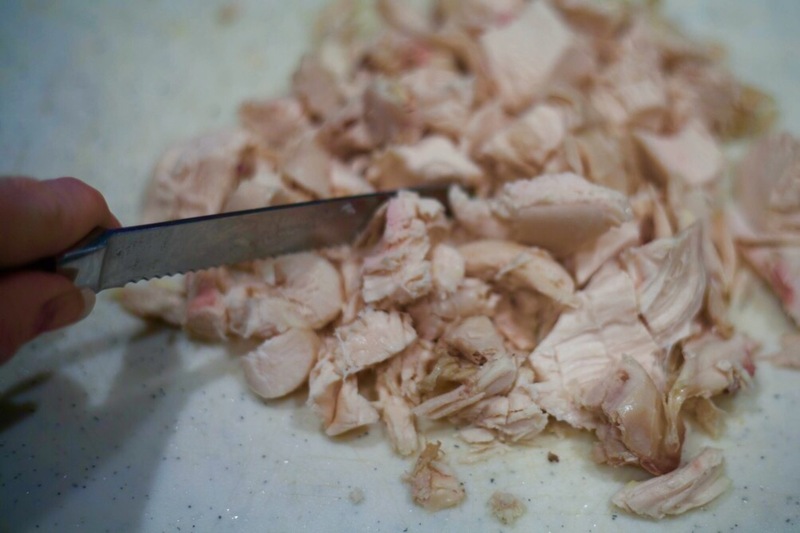 Add in cooked chicken and seasoning. 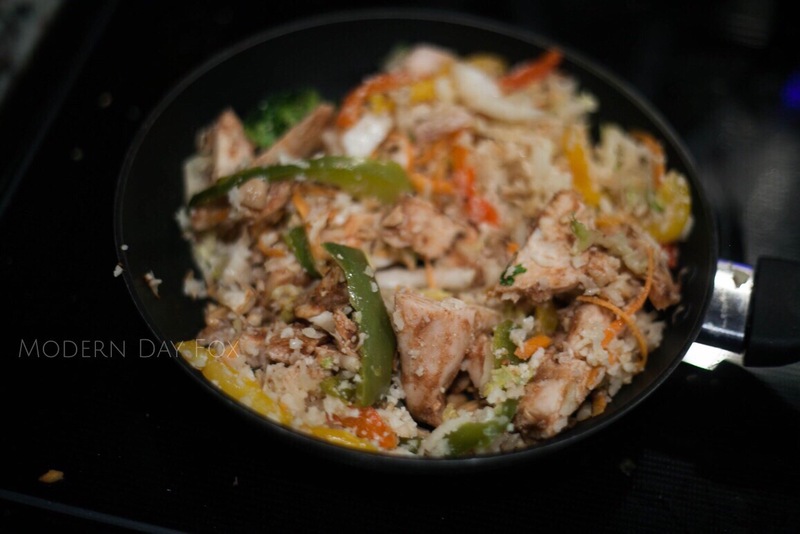 Mix well until chicken is hot. 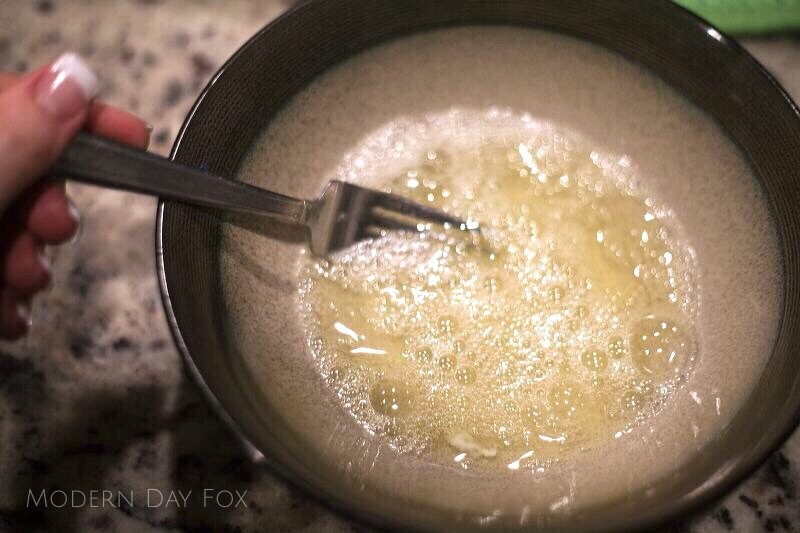 The steamed cauliflower only needs a minute or two of saute since it is already cooked. Add the steamed cauliflower after the other vegetables are cooked as shown in my photos below. The raw riced cauliflower will need a bit more time to saute and cook. Finally, add in the pepperoncinis. This ingredient adds a lot of flavor and zest to this dish. 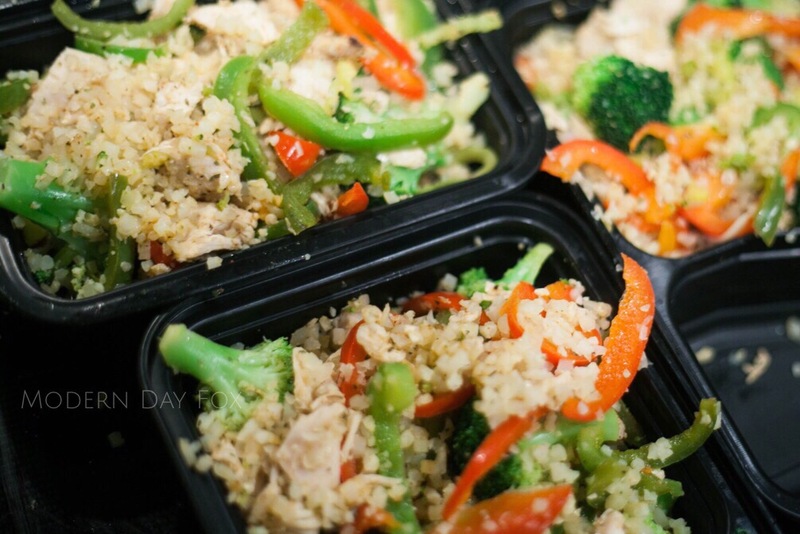 Serve immediately, or portion out in four meal prep containers to reheat and enjoy throughout the week. 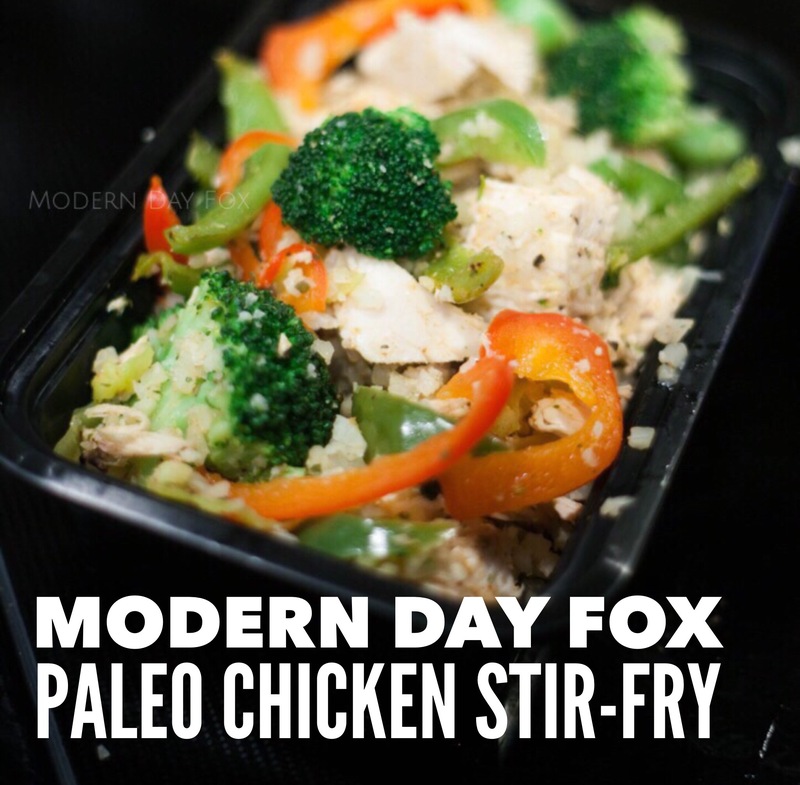 OPTIONAL – Add Soy Sauce (not Paleo) or Coconut Aminos if you wish. If you do not have allergies to nuts, this stir fry is off the hook topped with roasted cashew pieces on top. You know those women who go loco for all things pumpkin? Yeah, that’s not me. Pretty much the only dessert I will turn away in a heartbeat is pumpkin pie. Pumpkin?? In a pie?? Who’s idea was that? Pies are meant for three things: fudge, cherry, and lemon meringue. Not oversized gourds. Anyway, you get it. 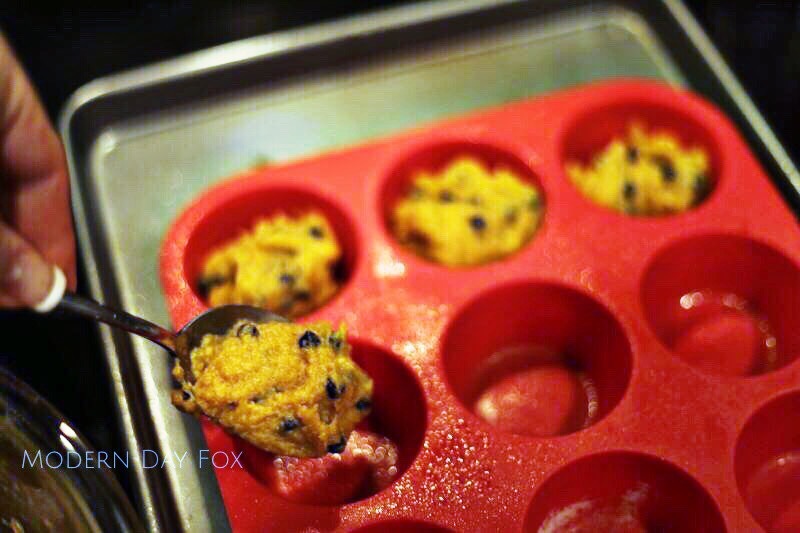 I’m not a “pumpkin person.” I am, however a “muffin person.” Muffins bring me lots of joy. 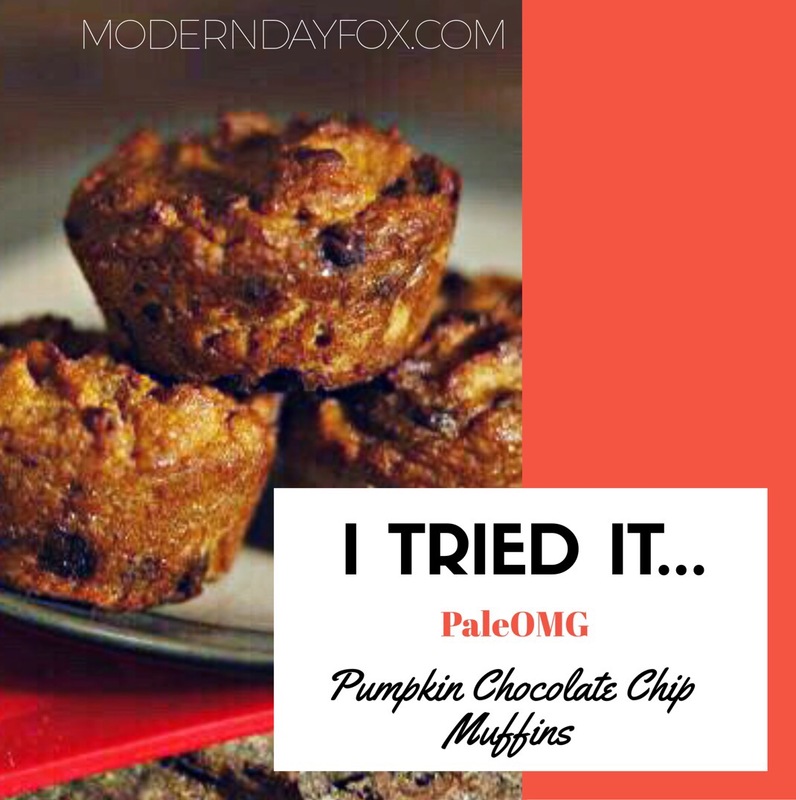 When I saw the post for PaleOMG’s Pumpkin Chocolate Chip Muffins, I was very hesitant. Two out of three things in the recipe title made my heart fill with glee. 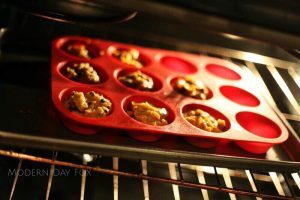 Chocolate chips and muffins? Yes, please. But, pumpkin? Aw, come on!! After following a strict Paleo diet for a couple weeks, I was Jonesin’ for a treat so badly that I probably would have happily eaten pumpkin pie. I gave it a shot, and the results were oh-so-delicious. The pumpkin is an afterthought, in my opinion, while the chocolate chips and beautiful texture take center stage. And then you need to hop on over to Juli Bauer’s incredible blog, and find out to make them! 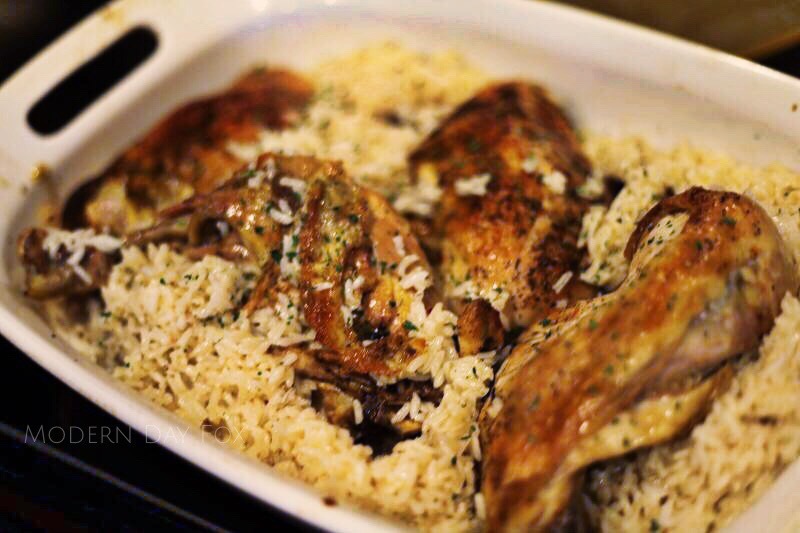 Here is the link right to her recipe. Warning! You might get distracted and end up reading her posts for hours. She is quite funny and engaging! I have all three of Juli’s cookbooks and they are well-loved. 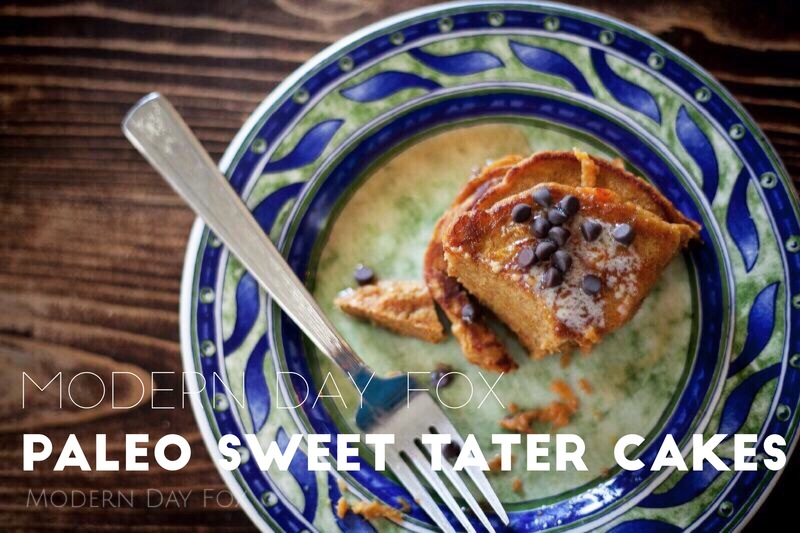 Check out her latest cookbook here! Oh boy. 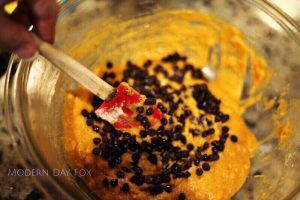 The hardest part for me about adopting a grain-free diet is the feeling I’m missing out on sweets. My mom doesn’t have a sweet tooth, but I’m pretty sure she gave me hers plus mine when she created me. Since I’ve also been trying to commit to a Paleo way of life this month and not just “grain-free,” refined sugar is off limits too. 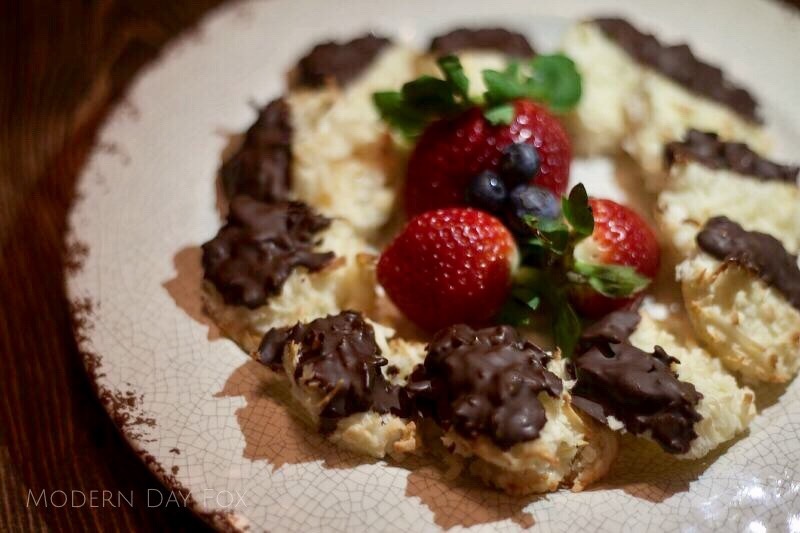 I am always up for a challenge, so I have had a blast trying to create desserts and treats without using any refined sugar. I recently had some neighbors over who both strictly follow gluten-free diets, so I needed to come up with something to accommodate all of our dietary restrictions. 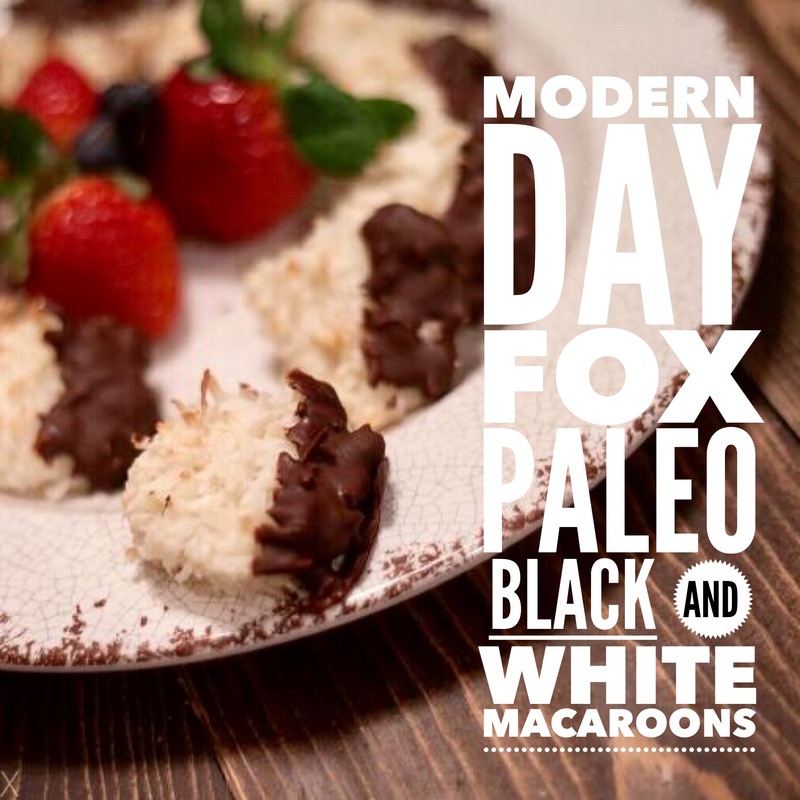 I was dreaming about Black and White cookies – you know, the delicious, flour-y kind you get in NYC – so I decided to make some Black and White Macaroons instead! These turned out perfectly with just the right amount of sweetness from maple syrup. 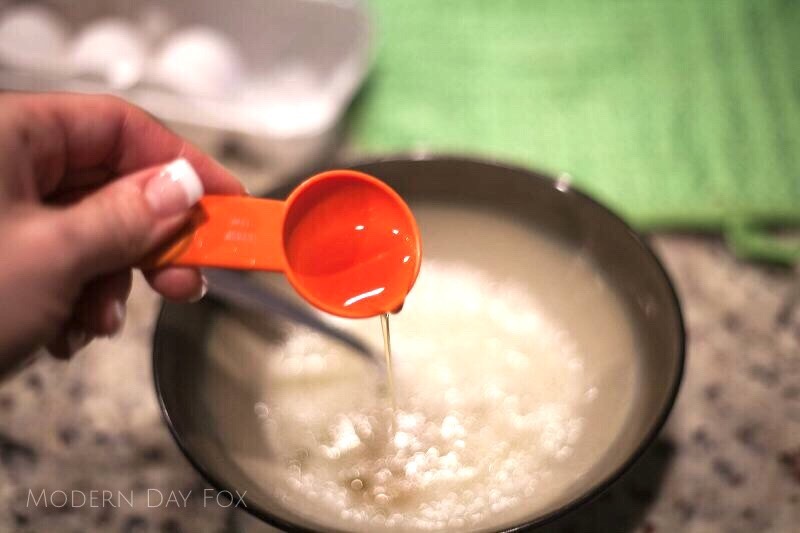 When you haven’t eaten sugar in weeks, maple syrup can be pretty powerful to the taste buds. Although my neighbors enjoyed them, one said she felt like they could have been a touch sweeter for her taste. If you feel the same, you have options! 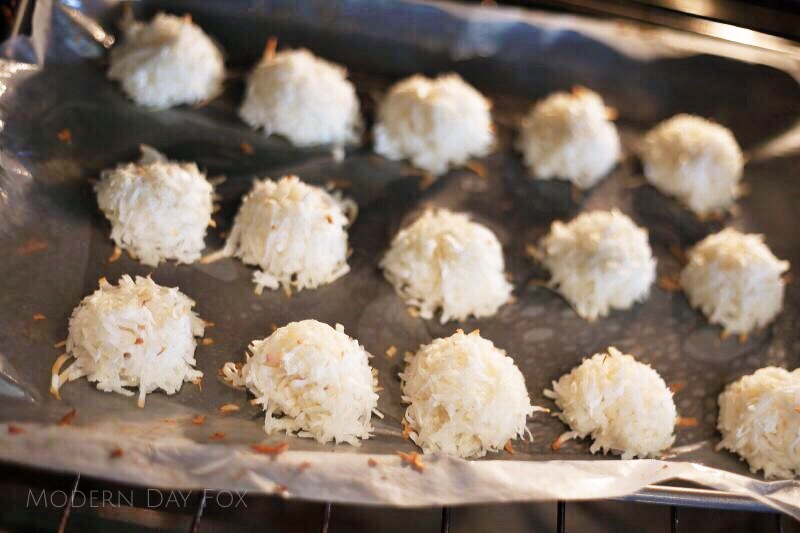 If refined sugar isn’t a concern, use sweetened coconut flakes. You can also mix in a bit more maple or honey. If you love almond joys, stick an almond in the middle! 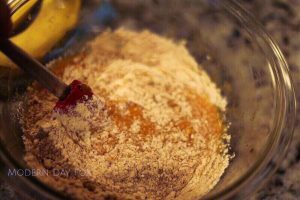 Just remember when are adding to this recipe, these are supposed to be “clean treats,” and you want to train your taste buds to appreciate foods without added sugar. Take these to your next party and indulge right along with your friends! Or better yet, make them at home tonight and guiltlessly munch while you watch TV! 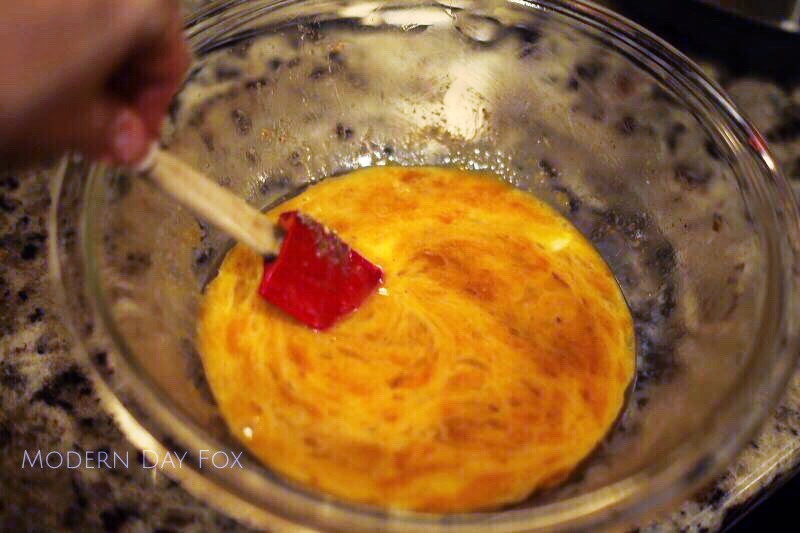 Whisk eggs until they are light fluffy. 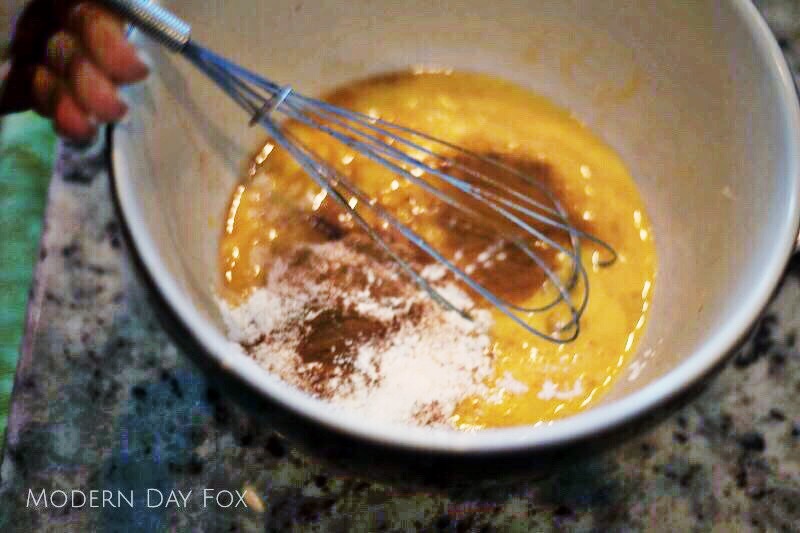 Add in maple syrup and butter extract and whisk well. 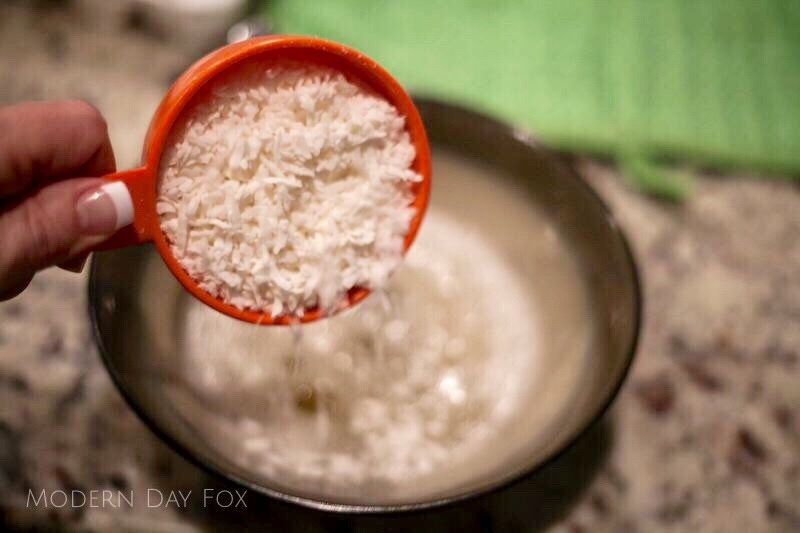 To the wet ingredients, add the coconut and salt. Thoroughly combine. 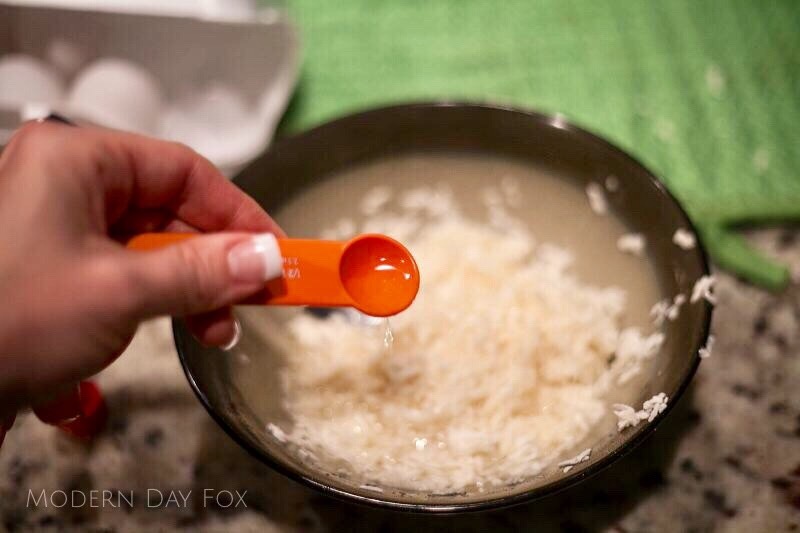 Use a tablespoon measuring cup to pack in coconut filling. 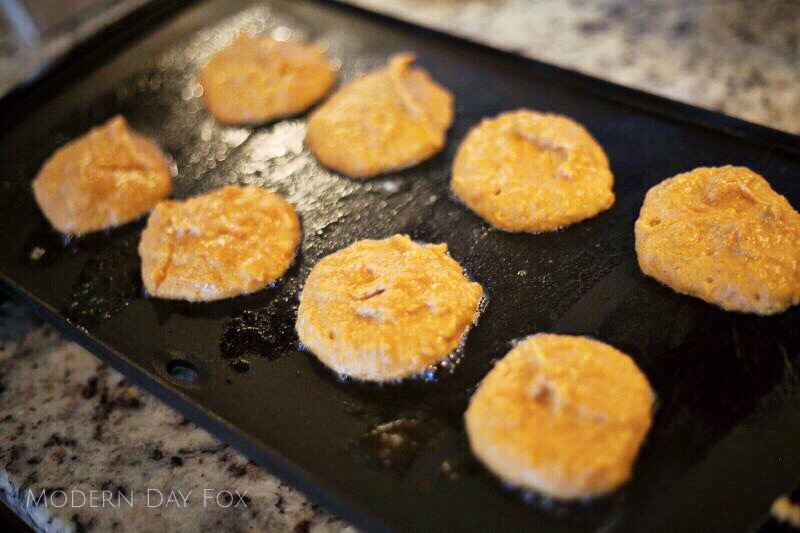 Drop onto greased parchment paper lined cookie sheet. (It is important to grease the parchment paper because they do stick.) Bake for 12-15 minutes until lightly golden brown. 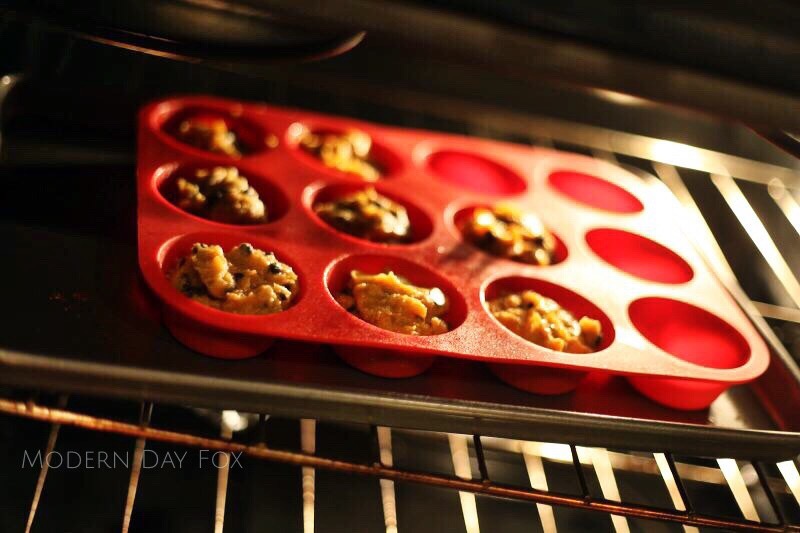 Let cool and carefully loosen the cookies from the tray. Add chocolate chips and coconut oil to microwave-safe bowl. Microwave for 45 seconds. Stir well. Immediately dip one half of macaroon into chocolate and lay on parchment paper. Chill in fridge to set chocolate. Enjoy!